Pam's 100% coconut oil cooking spray provides smart, gluten free cooking with a unbeatable, no-stick performance. 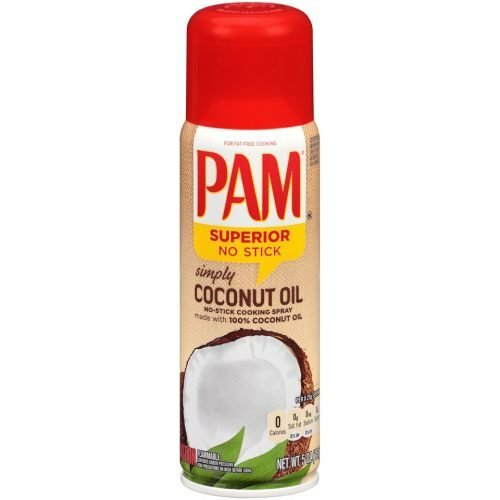 The versatility of Pam Coconut Oil makes it great for both sweet and savory dishes. Perfect for stovetop and oven cooking of meat, fish and vegetables. Use it in baked goods such as cookies and cupcakes. If you have any questions about this product by Pam GM Concepts, contact us by completing and submitting the form below. If you are looking for a specif part number, please include it with your message.